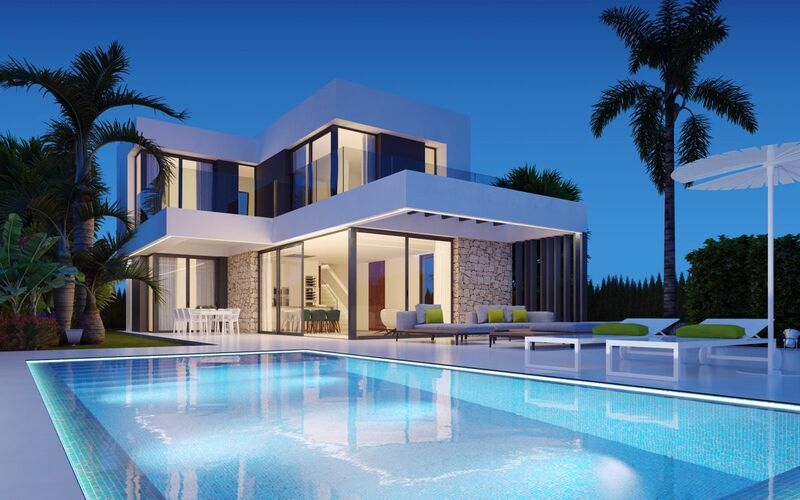 Villas and townhouses with 3 bedrooms with panoramic sea views, located just minutes from Benidorm. 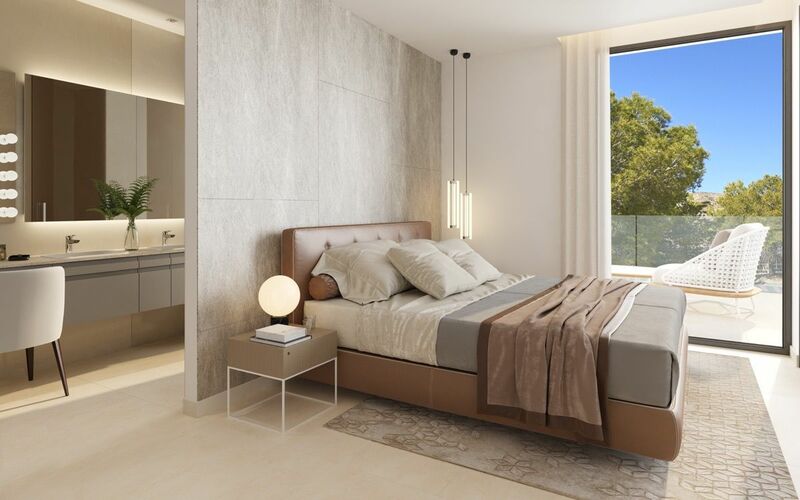 The development is placed in Sierra Cortina, renowned urbanization in Finestrat, known particularly for its high-quality golf courses and high-end stores and restaurants. 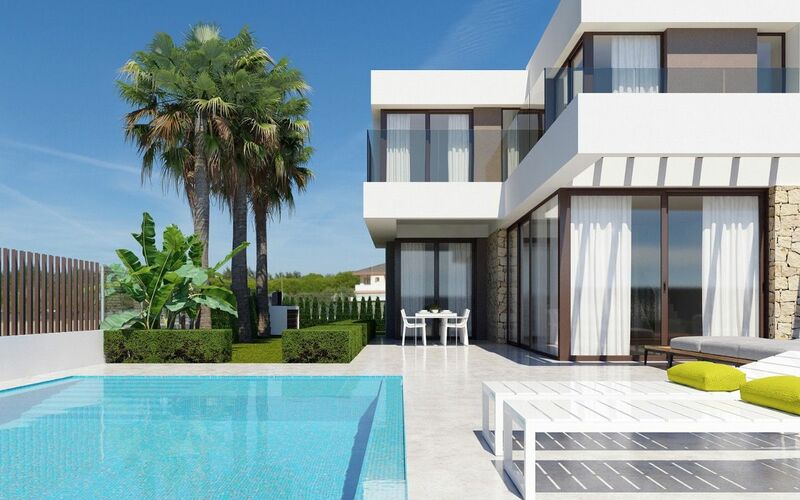 The villas offer spacious plots of up to 400 m2 with very well-maintained exteriors. 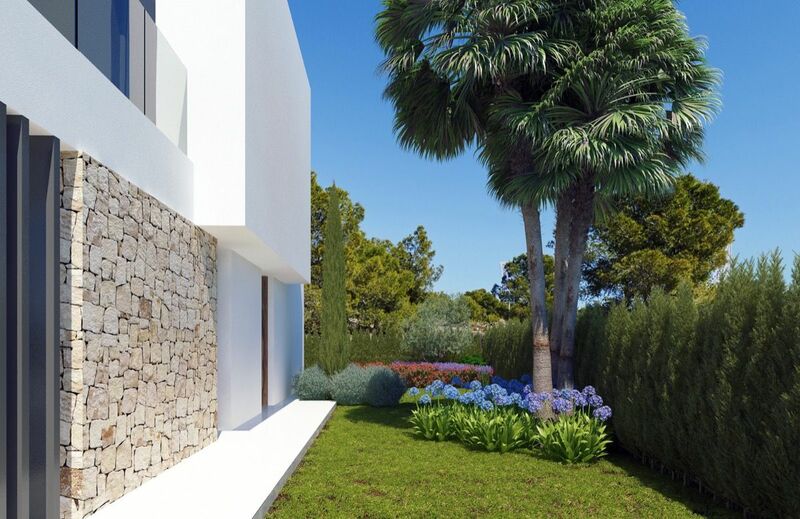 In addition to a private pool, the house is delivered with a landscaped garden with native plants and artificial or natural grass, according to your choice. 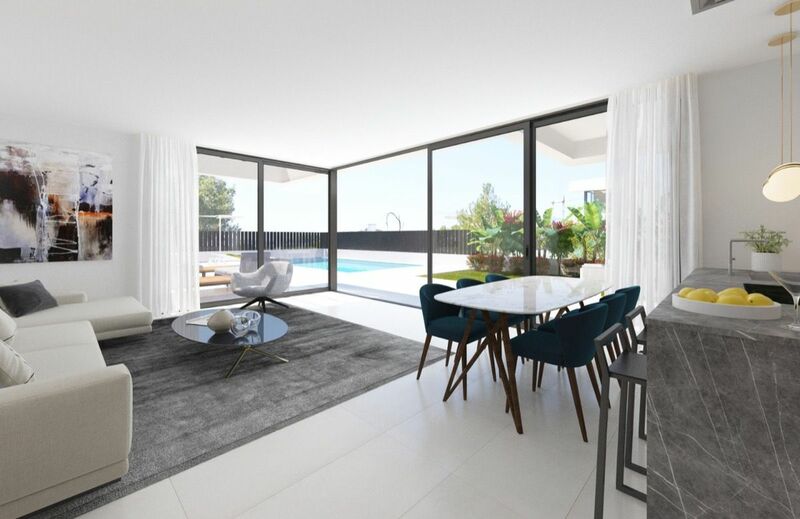 The large terraces on the ground floor and upstairs invite you to enjoy every minute of the outdoor life provided by the fantastic mild temperatures of the Mediterranean. Everything in these houses is designed for your comfort. Starting with an efficient bioclimatic design that ensures maximum energy savings, thanks to an optimal orientation and high technology insulation materials. 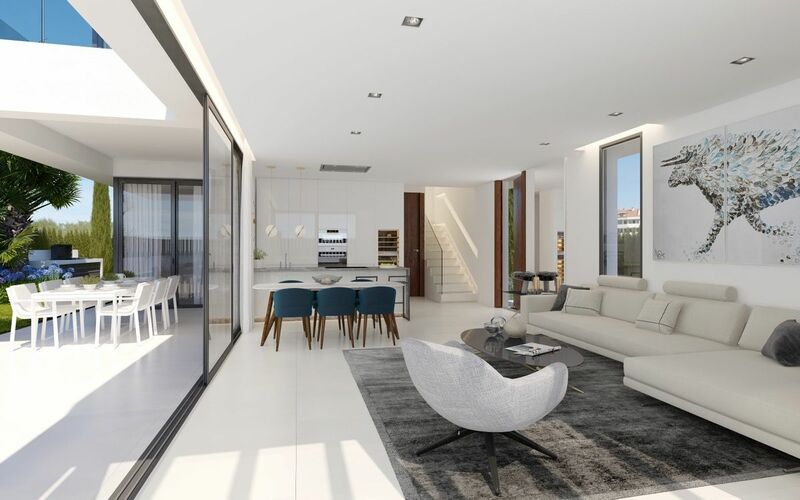 The layout of the houses, organized on two floors, offers spacious and bright rooms with large windows with fantastic views of the landscape and the sea. They have a ground floor room for more comfort and two rooms on the top floor. 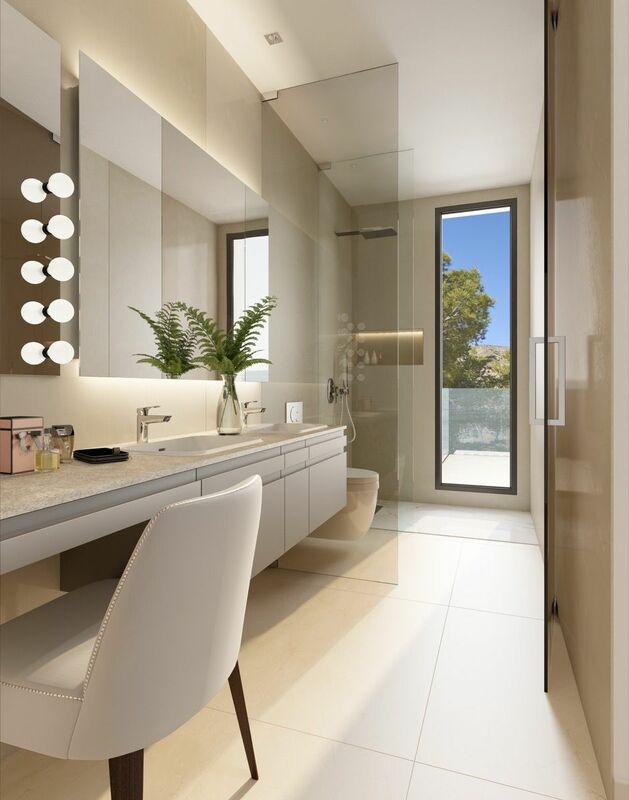 One of the master bedroom with dressing room and private bathroom. 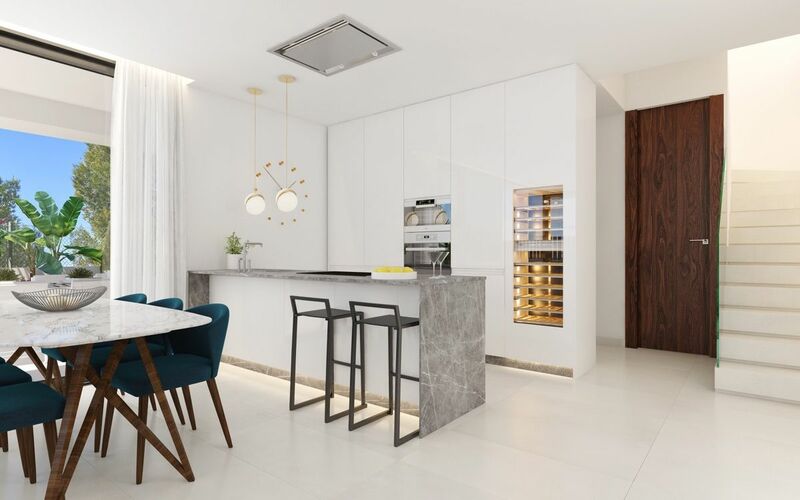 On the ground floor, you will enjoy a spacious living room of more than 50 m2, with open kitchen and breakfast bar, with direct access to the garden and the pool area. The kitchen comes fully furnished and equipped with oven, induction hob, microwave, fridge and wine cellar with capacity for 52 bottles. Enjoy your home in just 12 months from the purchase, and take advantage of the possibility of extras that we offer.